Marketers are blogging up to 800% more than 5 years ago, but getting 190% fewer shares. This is according to a study by the American Marketing Association. Statistics such as these are alarming, especially if content marketing is an important part of your B2B marketing strategy. This essential guide looks at how content amplification can help marketers fight back by putting the right content in front of the right audiences, with greater effectiveness. The internet is crowded with free content. B2B in-market buyers now have to wade through reams of it to find the right content that fulfills their information needs. As a result, audiences are getting more demanding. They want the right information in a high quality format, and they don’t want to have to spend time looking for it. As a result engagement metrics are dropping as readers are no longer willing to part with their precious time in exchange for vague content that doesn’t offer immediate value. So what is content amplification and how can it be leveraged as an essential part of your digital marketing strategy to get your content in front of the right people, at peak times in their buyer cycle? First of all, you need to make sure your message is bang on the mark for your chosen audience – remember this is an extremely competitive environment, in order to be successful, you need to be telling them what they want to hear! In order to do this, you must learn as much about your target audiences as possible. This is where persona building comes in really useful, enabling you to transform knowledge such as pain points, motivators, likes and dislikes, into actionable insights that can be used to inform your content strategy. What types of content are they likely to read, share, like, or comment on? What websites do they use, and what other interests do they have? Services like Global Web Index, Comscore and Hitwise can give you invaluable insight into what your audiences are up to when they aren’t on your website, whilst Inbox Insight can tell you exactly what your target personas want to read right now (find out more about our audience insights here). Although potential customers will be the focus of much of your efforts, they aren’t your only audience. QuickSprout defines the three basic groups of audiences: your own supporters, such as existing customers, partners and suppliers; people that influence the person that pays you, including colleagues, their customers and influencers; and, of course, the people that will pay you: your prospective customers. Each of these groups can help extend the reach of your message, so all three need to be addressed in your amplification strategy. The first stage of building a strategy is to establish your goals. What do you want content to do, in the context of wider marketing and sales efforts? Next, define what you want amplification to do. These goals should relate to your content goals. Set KPIs (key performance indicators) which tie to goals to ensure the data you gather is meaningful and can be related to other dimensions like revenue and turnover. B2B marketers today have access to some incredibly powerful tools and detailed, real-time reporting, but don’t dismiss the older channels! Owned media is all the channels you create and control, such as your website, blog, email newsletter, sales collateral and social media accounts. Content leveraged for these channels is usually dynamic, controlled, repeatable and focused on delivering value added experiences. Earned media is publicity and engagement you’ve won through non-paid marketing efforts: SEO is one of the most important, along with Word of Mouth (WOM), rating and reviews, and arguably influencer marketing. This is not content you have necessarily created yourselves, however these third party channels can deliver powerful messages that boost authentic engagement and pervasive spread of your brand. Paid media. This is where you pay to leverage a channel, often as a catalyst to accelerate engagement which can be built out into long-term owned media touchpoints (Forrester). Paying for someone to read your content does not sit easily for some marketers – isn’t the content supposed to do the selling? But while some content does become popular through quality alone, it’s a risky strategy to rely on it. Content may take years to gain traction organically, and few B2B marketers can afford to wait and hope. Paid amplification is the only way to guarantee an impact on any reasonable timescale. The good news is, that in addition to generating immediate results, paid amplification can also be extremely targeted; for example, re-marketing and programmatic advertising can be powerful at helping prospects with the specific issues they face at different stages of the the sales funnel. 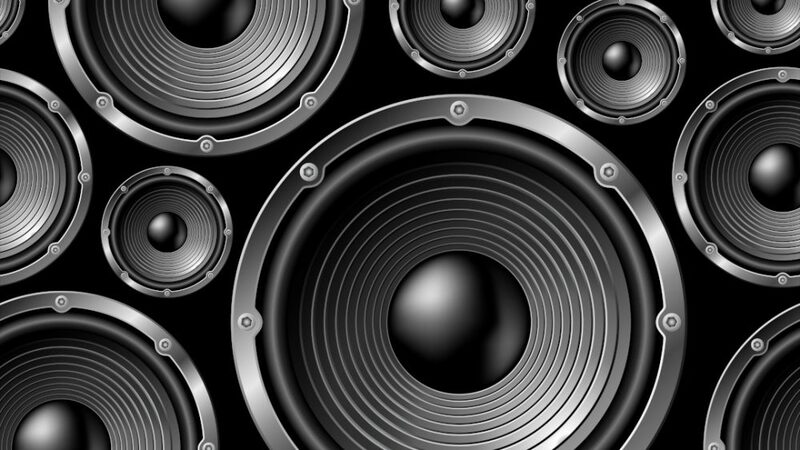 Once you see how powerful amplification can be, it’s easy to be tempted to promote everything. 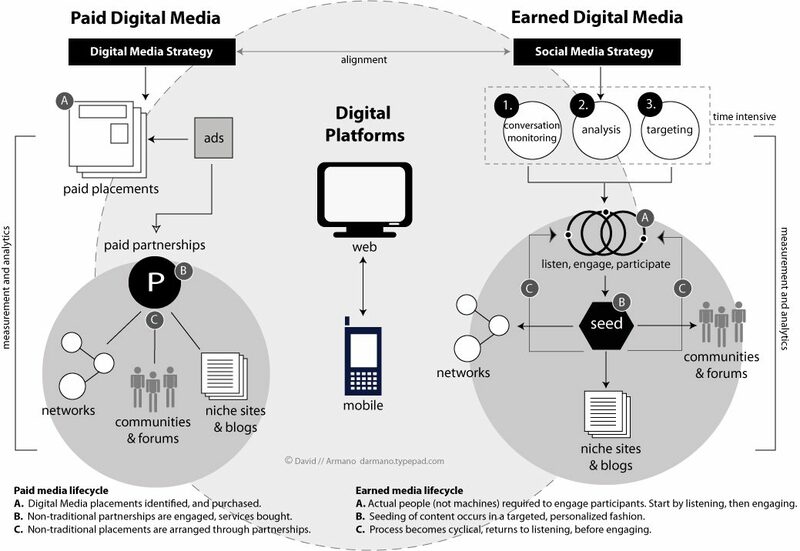 But your amplification strategy for each piece of content should be tailored and detailed. In trying to raise the profile of everything you will dilute your efforts and your results. Wordstream suggests you amplify the very best 1-2% of your content – whatever is most likely to really engage your target audience and produce an impact. Do your existing channels enable you to reach the audiences you want to connect with? If you don’t know the answer to this question, it’s time to audit your channels and assets. By doing so, you’ll find organic and paid channels both have their own strengths and weaknesses, however by assessing what’s working and identifying any gaps, you can improve, refine and develop the best strategy. B2B sales processes tend to be long and nonlinear with multiple touch points. While you may choose to focus on particular avenues, you must make sure that all available channels are addressed in your strategy. Your website is a touch point for all your audiences at every stage of the sales funnel and is likely to be the home for a large part of your content. SEO (search engine optimization) remains an important activity, and you’ll likely have a lot of content that’s written to help boost your performance in organic search. But no matter what SEO consultants tell you, you can’t guarantee how pages or posts appear in the search listings. Paid search is the only way to make sure your content is put in front of the right audiences at the right time. Just as you do with SEO, think about how different search terms are used at different purchase stages and tailor the content you offer to match the user’s requirements. Once you’ve got traffic to your website, you can gather more detailed information about visitors’ browsing behavior and interests to better understand their requirements. Email remains an extremely powerful tool for content amplification. According to Magnetic, 44% of people check their email at least once a day, and 77 percent of B2B marketers use email newsletters to amplify their content. Email has been around a long time, which means there is a wealth of knowledge out there to help you optimize your communications. For example, simply personalizing emails can generate 10% more conversions according to Brafton. If someone has given you their email address, you already know they are interested in what you have to say. However it’s critical you ensure everything you send them is relevant. Newsletter emails can include more general blog posts, news or editorials, while targeted lead nurturing campaigns enable you to promote individual pieces of content on a targeted basis. Lead nurturing programs can tailor the content in emails, offers, landing pages, adverts and even downloads based on the prospect’s previous online actions. With the right digital platform they can dynamically adjust what content your prospect receives, in real time, for even greater results. Be careful to understand how your prospects want you to communicate with them. B2B sales cycles can be long and irregular, and a period of silence might not mean the lead has gone cold. There’s no reason why you should restrict your email marketing to inhouse methods only, getting your content featured in 3rd party Industry eBulletins and publications can be a highly effective tactic for reaching new audiences that better match your criteria. By leveraging the credibility of established online publications with a large following, such as Insights for Professionals (IFP), you can vastly magnify your efforts and tap into a rich pool of community subscribers who have actively opted-in to receive communications from businesses just like you. How do you use social media to build an audience? Staying visible organically, even to your followers, is becoming tougher all the time. Not only is there increasing competition for audience’s attention, changes at the platforms have affected how stories reach people. For example, changes to Facebook’s news feed algorithm in 2016 meant some publishers lost almost half their Facebook audience overnight. Paid social is increasingly becoming a necessity. Ads are great for targeted promotional campaigns, while boosting helps existing posts gain more traction. Make sure you set clear objectives for each piece of content you boost, such as increased engagement or gaining more followers. Another option for broadening your reach is to engage with influencers. As well as putting your message in front of new audiences, influencer marketing can help validate that message. This can be invaluable if you’re struggling to make a connection. When choosing which influencers to reach out to, remember that engagement levels are more important than how many followers they have. The best influencers are very much in demand, and you may have to work hard to get their attention in the first place. Beware of so-called influencers who are happy to endorse anything for a fee; you’re unlikely to see much benefit from the deal. While your social presence and engagement levels are important, don’t fixate on the metrics. Many people share and like links without actually reading them. A high rate of shares may simply mean the headline and accompanying image are popular, while the actual content is barely viewed. Make sure you understand how social metrics relate to website visits, downloads and other conversions. In B2B marketing, content sharing often works differently. A researcher compiling information for a product specification may well show your content to multiple team members and stakeholders, but not in a way you can monitor – gated content may be downloaded once and emailed on or even printed, rather than the link being shared. This is another reason why you should not lose sight of the “big picture” metrics such as sales and turnover, and don’t be too quick to write off assets that haven’t made an immediate impact. Finally, don’t forget to get involved in the conversation. Social media should be social. The more you engage with your audience, the more they will engage with you. Programmatic is getting bigger as the technology improves; in 2015, 55% of all US digital display ads were bought programmatically and 52% of all non-search ad spend was programmatic. You might think of advertising as just for branding and broad-brush applications, but, as HubSpot points out, it can be great for content amplification. This is because you can precisely target your audience and put yourself in front of them wherever they are online. What’s more, because the process takes place in real time and is based on data on the user, it means you can put the right content in front of the right audience, at the right time, in the right place. For example, a prospect might be reading reviews on a third party site, or looking up usage instructions. In the middle of that article you could offer them data-driven content that compares your product to the competitors’, or link to a tutorial video. Always keep it useful: customers want information, not marketing messages. For more on how you can use programmatic advertising to amplify your content in more richly immersive ways, check out InboxNEXUS. A contact center is the central point from which all customer contacts are managed, from sales to support to customer services. Customers and prospects expect their queries to be answered expediently, but that doesn’t mean content can’t play a role in the dialogue. For example, once a technical issue has been resolved, the contact team member could follow up with a best practice guide or troubleshooting infographic. Instead of simply telling a prospective customer about a product’s features, they could additionally send an article comparing the product to the competitors’. Prospects are then able to share that content onward. Using a contact center to share content is about as micro-targeted as it’s possible to get, especially if it’s responding to an inbound enquiry. To keep the process as efficient as possible, the data stored in the customer relationship or customer experience system needs to be well structured and up-to-date, and team members must be aware of the range of assets they have available to them. Setting KPIs for the content shared by your team, will ensure everyone is onboard and your content goals are integrated into their practice. For more information on how to get your sales and markeing teams working together more effectively, check out our article, 5 Simple Techniques for Better Sales and Marketing Alignment. Earlier, we looked at defining your goals for marketing and content. But your audience has goals too. There are specific problems they are trying to fix by purchasing a product like yours, such as improving IT security, or improving workforce productivity. To do this, you’ll need to map all these goals and group them into touch points, themes or funnel stages. If you have sales or customer service teams, they can provide a huge amount of soft information about your audience’s interests and preferences. If you don’t, you will have to rely more heavily on behavioral information gathered from online activities. This is often referred to as “intent data” – analyzing what your prospects do online and using it to predict what their intent is. Data from websites other than yours is known as third party intent data. It’s difficult to come by except through specialist providers. Far more detailed and valuable, first party intent data is information from your own websites and assets, most commonly collected by tracking IP addresses and cookies. Alongside cookies and IP, Intent can also be held at the user level against the user ID based on content consumption, through content tags. This provides more accuracy than cookies as a user has to record an action against the tag to signal intent. All of these are indicators in their own right, when used in parallel they can build up a detailed picture or digital body language of what the user is interested in or actively engaging with. Read more on the effectiveness of intent tags here. Marketers are used to looking at traffic numbers to monitor the success of campaigns and content, but by looking at how visitors move around your site, entrance and exit pages, and the searches they perform, you can work out where they are in the purchase process and what content they might be interested in. This can then be fed into re-marketing campaigns, lead nurturing programs, even account-based marketing. You may find there are areas of your website where the user’s intent is ambiguous. If so, consider restructuring the content or link structure to provide a clearer signal, or follow up with a content offering designed to gather additional data. When developing marketing strategies, many marketers automatically focus on acquisition – according to content marketing guru Neil Patel, 63% of marketers felt that was the most important advertising goal. But it’s 6-7 times more expensive to acquire a new customer than to keep an existing customer. Furthermore, 80% of your future profits are likely to come from 20% of your existing customers. So while acquisition is important, it’s essential you also spend time on the customers you’ve already won. Brand communities are one way to give something back in a mutually beneficial arrangement. A brand community is a group of people who have a common interest in a brand, product or a specific use of that product. Brand communities evolve organically on third party forums or social media, for example, fan clubs, but you can also build a community in a space you control. This could be your own website, an owned forum, or an invite-only social media group. Communities offer greater response and engagement rates and will often help generate the content itself: user reviews, tutorials and videos of the product in use. By listening to what’s being discussed you can identify the issues of users in the real world and develop content to address them. By reacting to their comments and addressing their concerns head-on, you’ll build loyalty while producing content they will want to share. There are pros and cons to hosting your own brand community space, including the overheads of maintaining and policing it. Even if you do host your own community space, it’s likely other informal groups will exist on other channels and it’s worth keeping an eye on them as well. No matter how well you think you know your customer, you need data to prove you’re right. It will also help you improve, if you’re prepared to invest the time to analyze it. With all the data we have at our disposal, it may be surprising that only 8% of marketers consider themselves very successful at tracking the ROI of their content marketing (The B2B Content Marketing Report). Watching the metrics will show you what’s working, but not why. Was the headline catchy? Was the actual content on point? Was it the distribution method? Or is it because the content happened to relate to a topic that was trending at the time? If you really want to optimize your output, you will have to start developing experiments. Experiments don’t have to be complicated or long-winded, but they do have to be well planned. A/B or split testing is the simplest form of experiment, where one element of a piece of content is changed to see how it affects performance. A/B testing has been used for many years in email marketing to test things like subject lines, delivery times and calls-to-action. It’s also the easiest to understand and to apply to subsequent campaigns. Multivariate testing evaluates how a multitude of items work together in an email body or landing page. To use multivariate testing, you’ll need to be using sophisticated marketing tools like Marketo or Pardot. You’ll also need a bigger audience to generate enough responses for the data to be analyzed. Understanding how to apply the findings to future campaigns can also be more complex unless your experiments were clearly structured. Designing an experiment might seem daunting, but guides such as SnapApp’s blog will walk you through the process. Start by defining who, what, where, when and why you’re running this experiment. Whatever the results, record them clearly and integrate the lessons learned into the next iteration of the campaign. Experiments like these will help you create content which catches your audience’s attention and has a greater reach. But also you need to demonstrate how your content amplification strategy translates into business success. In the first stage of developing your content amplification you defined how content, marketing and business performance relate to one another, and what success looks like. This might be improved revenue or increased numbers of leads, but if your products have a long or complex sales cycle it may be difficult to establish a clear ROI (return on investment) at anything other than campaign level. Trying to link individual assets to ROI could lead to your amplification plan being unfairly weighted in favor of content at the end of the process, where the correlation is easier to prove. Whatever measures of success you agree at the planning stage, don’t be tempted to tinker. Give your strategy the time it needs to build momentum, demonstrate results and gather the data you need to inform future efforts. 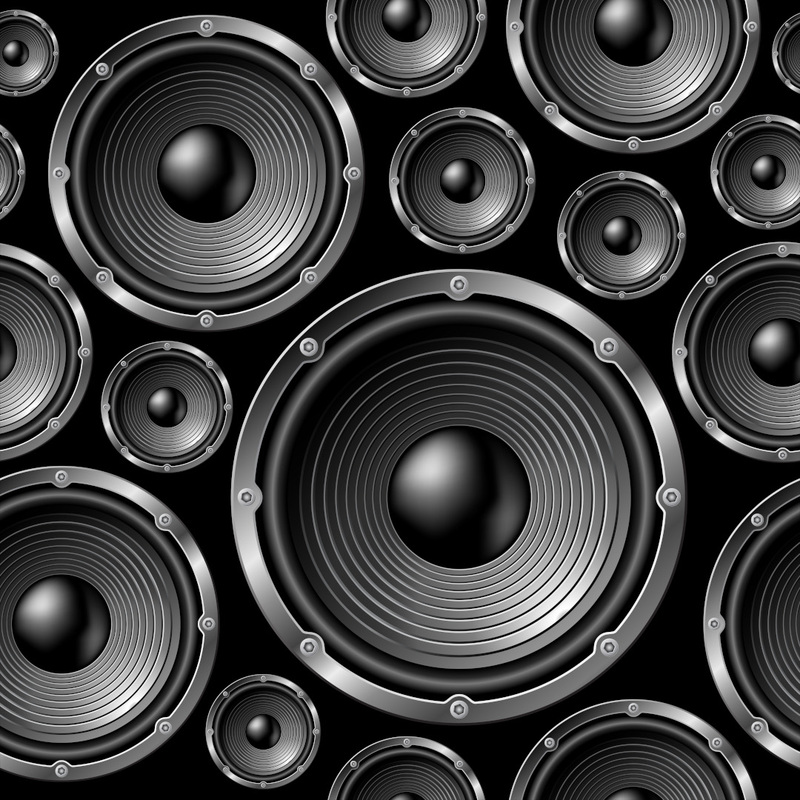 Ready to learn about advanced content amplification? Check out how global brands leverage Inbox Insight to deliver the right content to larger, better engaged audience segments. Whether you need a catalyst for driving highly relevant traffic to your own website, cultivating a following of brand advocates amongst our professional communities or simply executing a super-charged lead generation campaign, our suite of digital campaigns will get you to where you need to go, using the best route. Find out more here.